Brush up on better lipstick application. A flat surface, gently curved edge and precision-sculpted, patented fibers make this brush a standout for a more flawless lip look. Create a defined lip line (makes lips look younger), overline for a fuller look or use to get the last bit of your favorite lipstick out of the tube. Especially great for sueded, matte looks. When using powder products: pick up directly using the tips of the fibres. When using liquid and cream products: dot product onto your skin first, or pick up a small amount from the back of your hand or a palette. 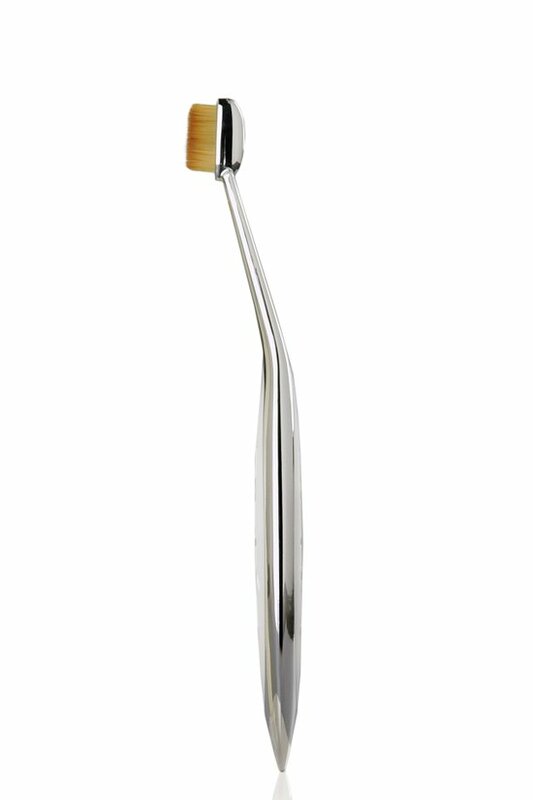 Glide in gentle, continuous, circular back and forth motions, instead of stippling or bouncing the brush. Better Beauty, by Design. Rethinking the notion that "an artist only applies to the canvas", Artis (the Latin word for "skill") has custom-designed makeup brushes that deliver stellar professional results even when the artist is the canvas. Their CosmeFibre® brushes are ergonomically crafted for a comfortable grip that allows precision of application. Each fiber is sculpted to a microscopic point for the softest touch against your skin. And with 3-10 times more fibers than most traditional brushes, the brush head will not separate leaving a finish that's beyond flawless.